Black and Pink, in addition to dance supplies, is also a full service costume design company. We offer stock costumes, custom costumes, team and group uniforms, and warm up wear! To see some of our stock costumes, please visit the costume section of our website, or come in to our 81st and Lewis location. Our shop carries an array of costumes that are ready to purchase off the rack. All stock costumes can also be made in custom sizes and color combinations to fit exactly what you need. Group discounts are available for stock costumes. For more information about group pricing, please contact our customer service department at 877-618-8777. When ordering stock costumes, please allow 2-4 weeks for delivery and be sure to contact us for ship times before placing your order. Black and Pink specializes in custom costumes for dance that can be designed to fit any budget or style. Below is a step by step guide in ordering a customer costume. 1) Sketch- It all starts with a consultation with one of our designers. Send any ideas, pictures, inspirations, color concepts...anything that will help us get an idea of what you are looking for to one of our designers, and they will create sketches for you until you are pleased with the design. 2) Fabric- Once the design is set, fabric choice is next. We carry over 500 different fabrics, with access to thousands more. We work with sequin, lycra, stretch velvet, organdy, tulle, and other stretch fabrics. We will provide insight into which fabrics would work best with your design so you end up with a costume you love! 3) Sample approval- Most of our customers receive a sample of the garment when ordering for a group. 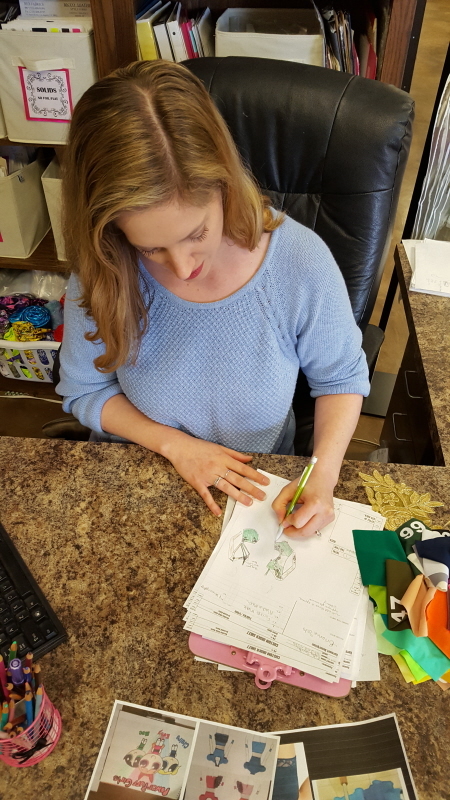 We create a sample of the costume for you to approve design, fit, and fabric. The sample must be tried on by the dancers and at this time, you will let us know anything you would like to change. If only minor changes are necessary, no second sample is made. This sample will also be used as a sizer if a size run is requested. Allow 2 weeks for sample to be created. 4) Sizing- We will give you a sizing kit along with your sample. It will include everything you need to take the correct measurements to ensure the best fit. The sample is always created on the size that falls in the middle range of your dancers. Try the sample on as many of the dancers as possible so you can judge size accurately. We encourage you to also reference our size chart if you are having a hard time picking a size for a dancer. If a dancer doesn't fall into one of our sizes, custom sizes are also an option at an additional cost. 5) Delivery- Your order will be delivered 4-6 weeks from when you return the approved sample with your size selections. We will always do our best to fit in your team if you need the order sooner that 4-6 weeks, but rush fees may apply.